Both of these are commonly seen as 1 year milestones. Or are they?! By now, most people are familiar with the recommendation to breastfeed if possible, and that exclusive breastfeeding is preferred for 6 months. Many people are also familiar with breastfeeding with introduction of complementary foods until 12 months. But what about after that? Are there any benefits to breastfeeding longer than 1 year? What is common in other cultures? The American Association of Pediatricians (AAP) recommends breastfeeding exclusively for 6 months, with continued breastfeeding and complementary foods until 12 months, and then as long as mom and baby wish to continue. The World Health Organization (WHO) recommends breastfeeding exclusively for 6 months with continued breastfeeding and complementary foods until 2 years of age, and then as long as mutually desired. Breastfeeding after 12 months is referred to as extended breastfeeding. This practice is associated with many benefits for both baby and mom. Breast milk is rich in immunologic factors, resulting in fewer illnesses as well as shorter duration and decreased severity of symptoms when illness does occur. Breast milk remains a high quality source of nutrition for the child. Very interestingly, extended breastfeeding is also correlated to better psychosocial adjustment in the late childhood years. Benefits for mothers include a decreased risk of reproductive cancers (ovarian, uterine, endometrial). There is also a decreased risk of breast cancer for both mom and baby. Breastfeeding is a relationship, and both mom and baby need to be satisfied. Potential drawbacks of extended breastfeeding include a longer duration of pumping if mom is away from baby, or the possibility of mom being “done” before baby and developing a resentment toward breastfeeding. Many women find they can go long periods of time without needing to pump, and still be able to breastfeed when they are with their babies. If mom is having difficulty continuing this relationship, a lactation consultant may be able to assist in problem solving, or helping mom to gently initiate weaning. In other cultures extended breastfeeding is the norm, with children weaning between 2 and 3 years of age or sometimes even later. Fortunately in this country, breastfeeding is on the rise and becoming much more common. Women should feel confident choosing to breastfeed to full term, rather than ashamed or embarrassed that they are alone. Likewise, women that cannot or choose not to breastfeed should also be comfortable with their choices. We all do the best we can! Kelly Mom is an excellent resource for breastfeeding. Additionally the AAP has a publication detailing breastfeeding benefits and outcomes here. Rear-facing until 12 months or 20 pounds correct? NO!! These recommendations have been updated, for excellent reasons. They keep your child safer should the unfortunate happen. How long should my child be rear-facing? A minimum of 2 years, with a preference for 4. Use your rear-facing seat until your child reaches the maximum height/weight for your particular seat. Yes – this is a BIG change from what you may be used to. 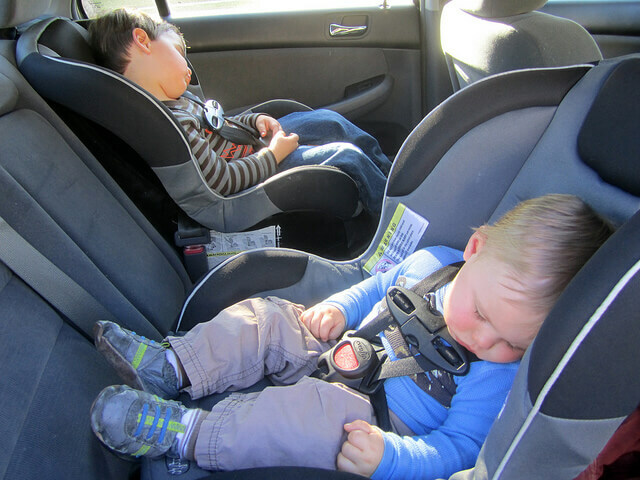 Data collected from motor vehicle crash injuries in children found that young children in a forward facing car seat are 75% more likely to have a serious injury. In particular and most devastating, they are at increased risk of internal decapitation. My child’s legs will touch the back of the seat, is this a problem? Nope! Leg injuries are actually rare in rear-facing children involved in accidents. Worried your child is uncomfortable? We all like to put our feet up to watch a movie, and your 2-4 year old in a rear-facing seat is in a similar position. What if I already switched my <2 year old to forward facing? My recommendation is to switch back. The guidelines are based on good quality data that this keeps children safer. When possible, just keep them rear-facing from the start! 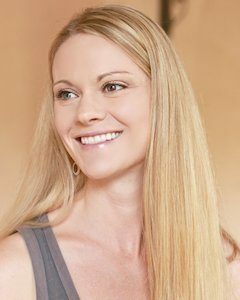 Amanda Queen, PA-C is a mom, a graduate of Dr. Andrew Weil's Integrative Medicine program at The University of Arizona, and a Blogger. She blogs about nutrition, botanicals, essential oils and family wellness at Essentially Be Well.